The accessibility of any New Regime pieces was always an after thought for my interests. To properly grasp this notion you’d have to understand that the Atelier is an operation borne from the local streets of Montreal. It wasn’t until last weekend when our crew spent time in Toronto for All-Star weekend (*more on that very soon) and we stopped by Get Fresh Co. that the global emergence of the brand came clear to me. As we made our way through the first floor of the shop, through all the dope Mitchell & Ness jerseys and jackets and then proceeded up the stairs to the second floor, we caught a sense of something big going one on the upper floor. Once we got the 2nd floor, our attention was drawn to Mr. Fabo himself. Yes! Fabolous was in the house and our main man Kalby took advantage of the situation to ask for a portrait shot of the smooth rapper. 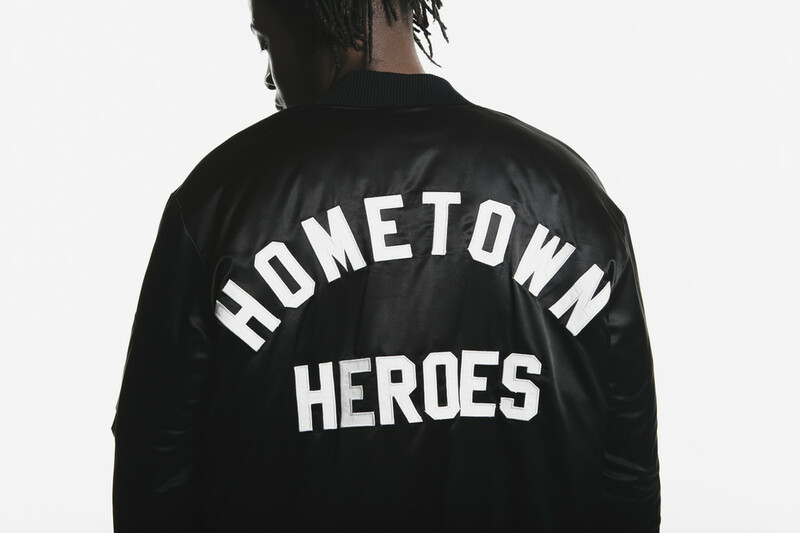 Through all the commotion, I did try to make it to the back of the room, where, seemingly like a spotlight, the Hometown Heroes logo on the back of their bomb jacket caught my attention like a tractor beam. Atelier New Regime had a Toronto only release and the international appeal of the homegrown brand became a reality to me. It only made sense, as their clean, sharp designs were always game changing and commanded your consideration. If you want to heat up the block, head over to Get Fresh Co. in Toronto or hit up the Atelier New Regime site to purchase.